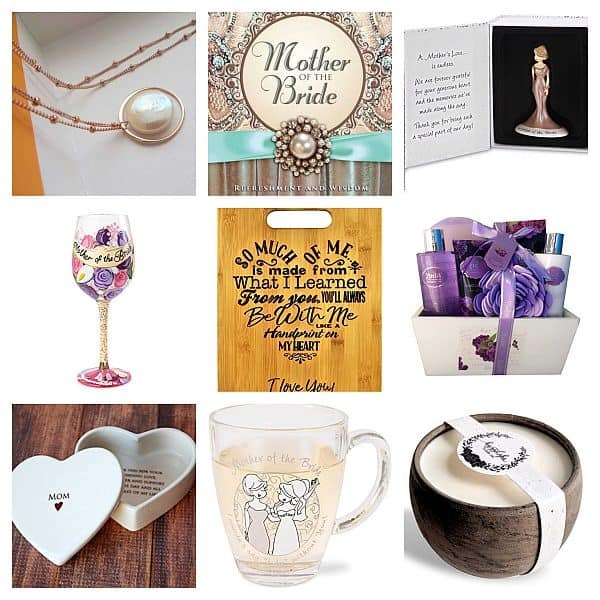 In this article we have picked the most design-flawless and practical presents to help the woman in your life relax, travel, enjoy a meal and a workout. 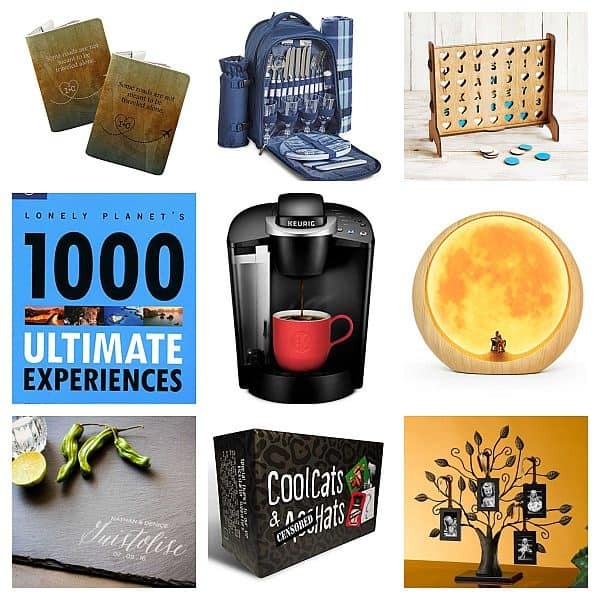 This mirror tray can be used in dozens of different ways – which makes it a truly universal gift. Perfect for makeup, perfume, cosmetics – you name it. Don’t you sometimes feel this way, too? 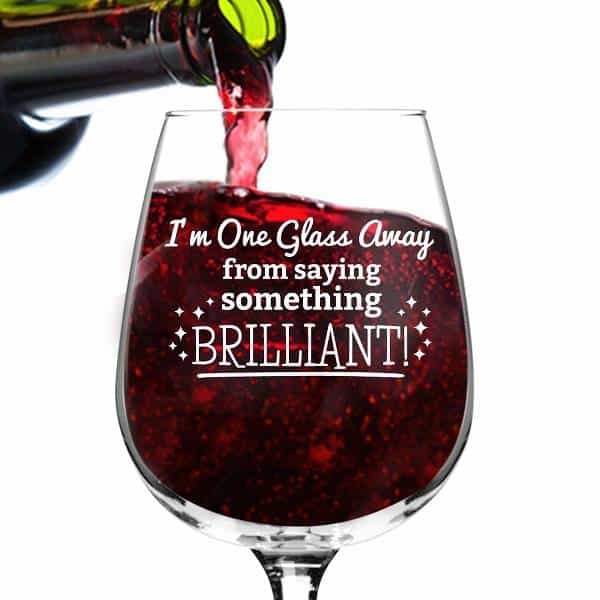 In any way, there is no such thing as too many wine glasses, so this witty glass will be welcome in every household. 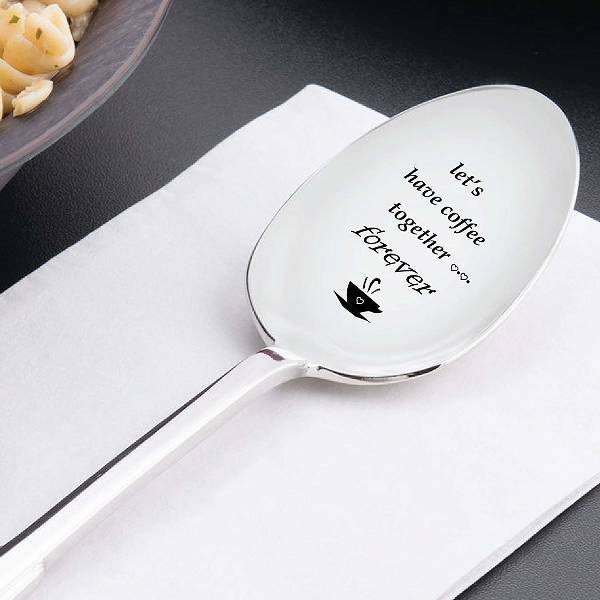 Aww, imagine how sweet it would be to receive such a spoon – on any occasion. And as for the meaning, you can imply anything you want with this poetic phrase. 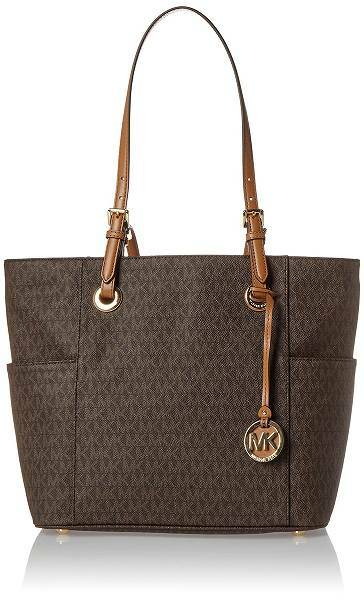 This tote is perfect both on the inside and outside – well, as is every original MK bag. Several pockets make organizing easy and pleasant – there are interior pockets for small stuff and exterior slip pockets for an umbrella or spare sandals. What can be better than a hot bath at the end of the day? Only one thing – a silk-soft bathrobe to wrap yourself up afterwards. DKNY knows a thing or two about how to make high quality goods, so don’t hesitate to grab this one as a gift! 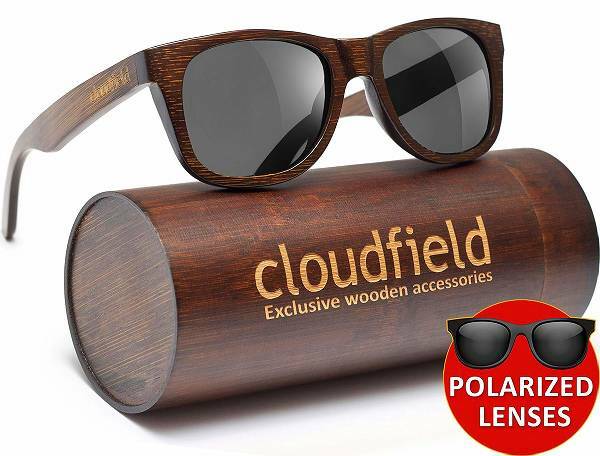 I seriously don’t know that is better – the glasses themselves or the case they come with. Luckily, you don’t have to choose between the two. A fresh new look at salads by Food52. 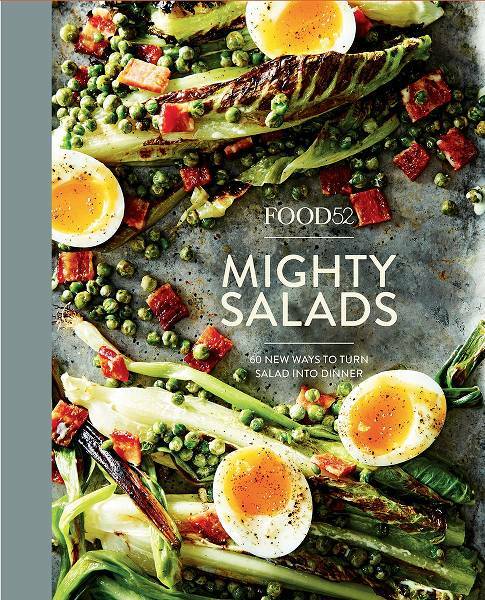 Sixty salad recipes come in a beautifully designed book and make a perfect present for any food lover. 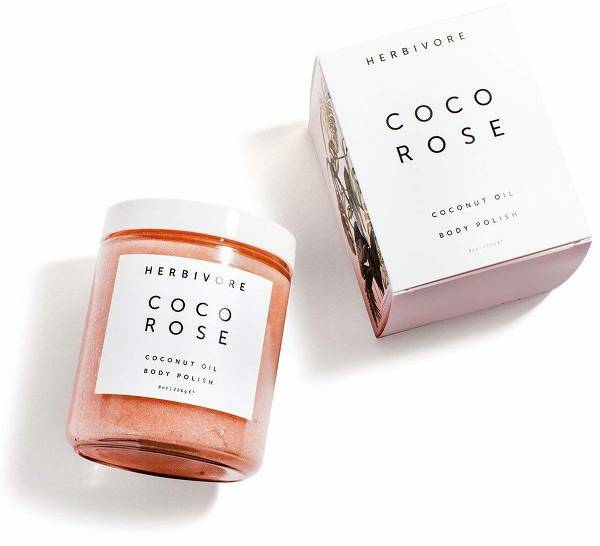 Highly moisturizing blend of virgin coconut oil and moroccan rose. 100% natural paraben free delight. 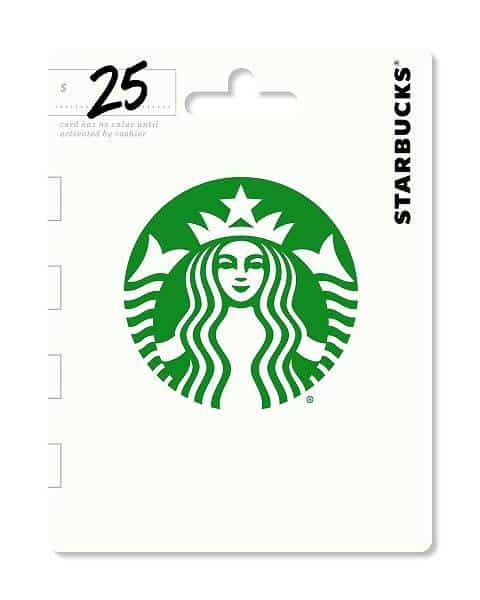 If there were an urban survival kit, a Starbucks gift card would be a #1 item there. There is not a single person on Earth who wouldn’t like one. Well, except the CEO of Costa Coffee, probably. Keep the drink cold for 24 hours, hot for 12. 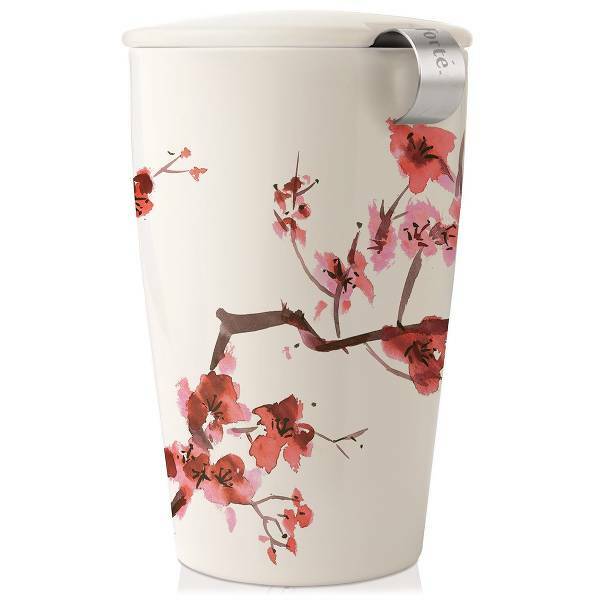 Keep the special woman in your life warm and hydrated with this beautiful vacuum bottle. 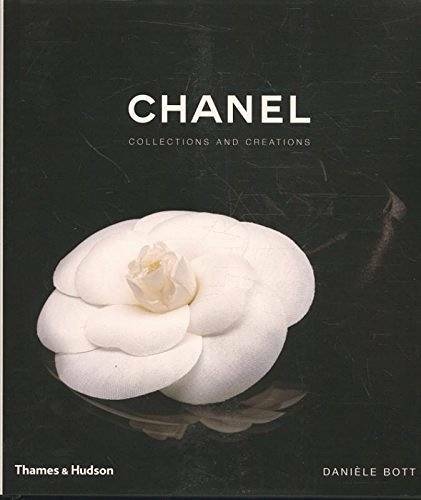 While this book can serve as a decorative piece for the coffee table, the contents are not to be overseen. Perfect gift for fashion lovers. This charming bracelet is really universal and will go perfectly with literally any outfit. 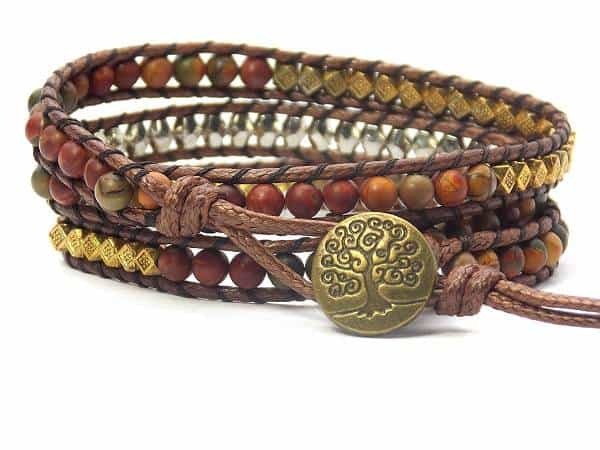 This bracelet comes wrapped in a cotton-based eco-friendly satchel, which together with the bracelet itself creates a perfect composition to present to the special woman in your life. 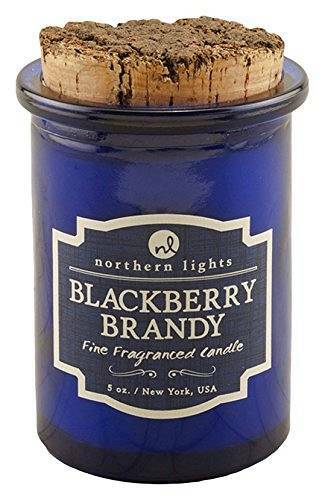 35 hours of delightful blackberry brandy aroma are packed in this elegant candle jar. 4.7 out of 5 rating is a rare outcome for scents, so it must be something really special. 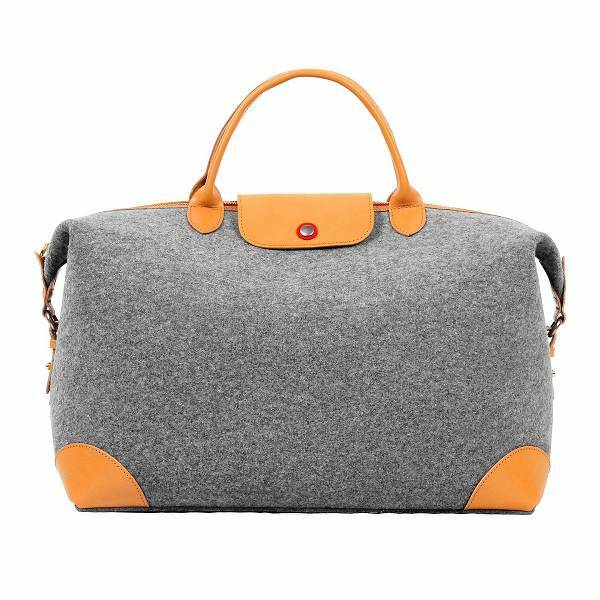 This 100% felted wool bag is a real masterpiece – show the woman in your life how special she is with this unique handmade tote! Getting photos from a friend’s camera is no longer a problem – as long as you print them right away! 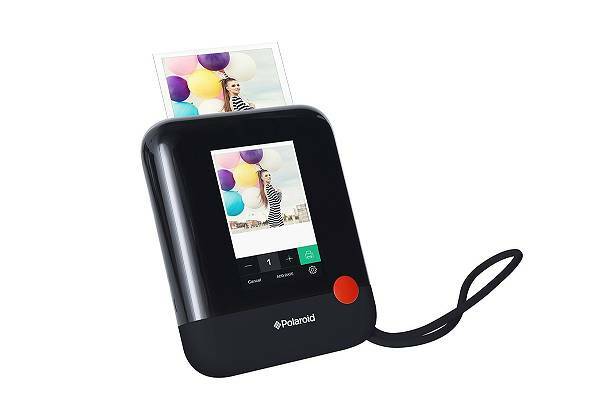 A perfect gift for all those nostalgic creatives who loved Polaroid cameras. 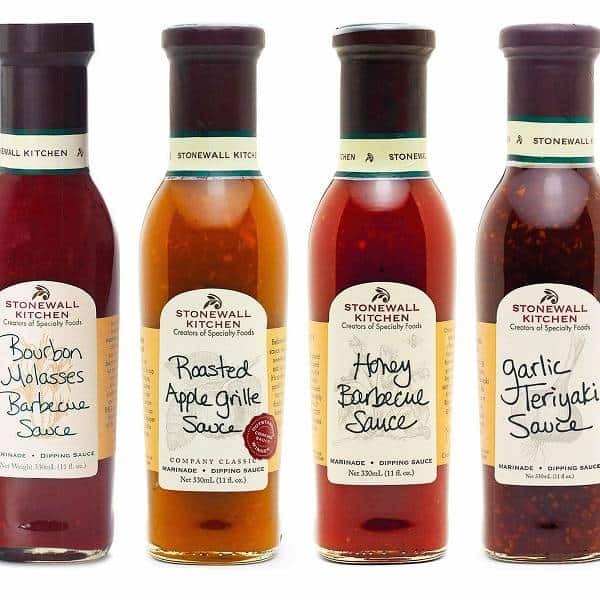 Ask any chef – the sauce is the soul of every grilled dish. 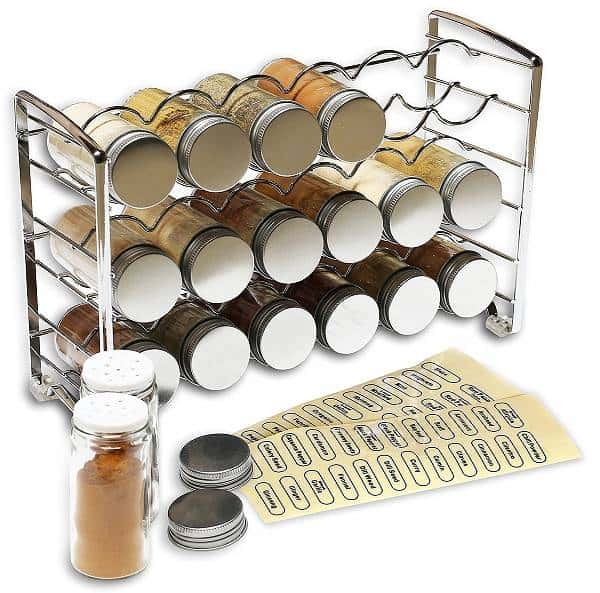 This set will be perfect for every grill lover. 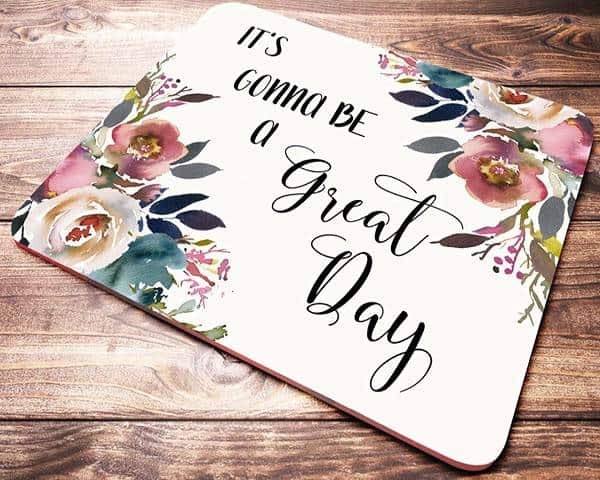 Brighten up the desk with this beautifully designed mouse pad. 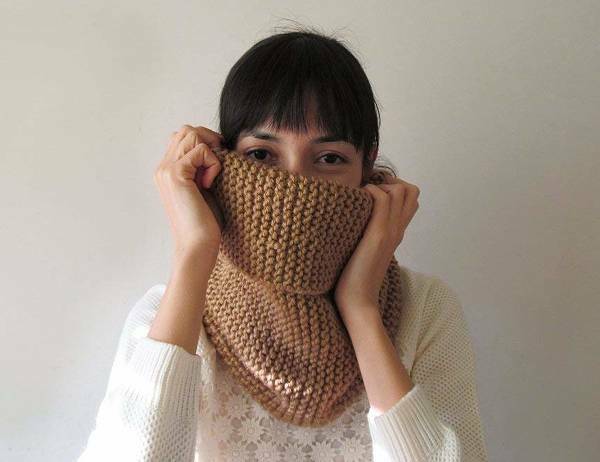 Show that you care – get a warm knitted neckwarmer! 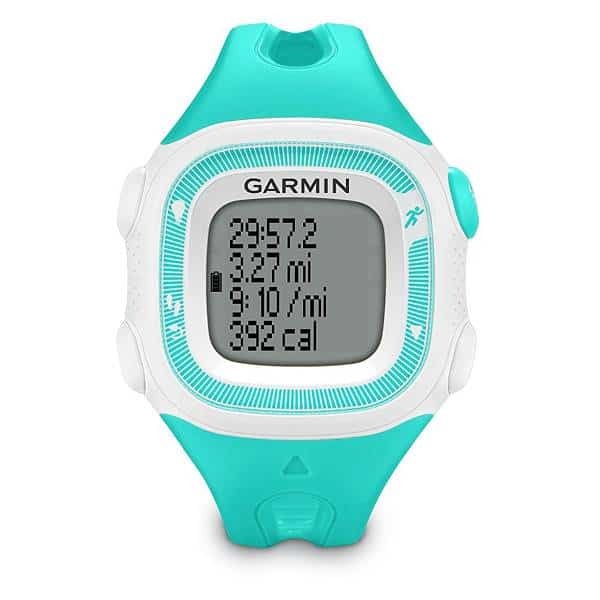 This runner’s watch measures time, distance, pace, calories burned, and live stats on the go. Being lightweight, waterproof and easy to read it is a perfect companion for any runner. 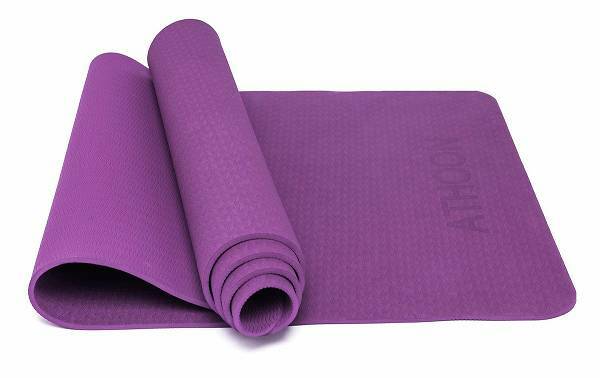 As simple as it looks, this yoga mat is thick and soft – it is great for any exercise. Cute any funny. 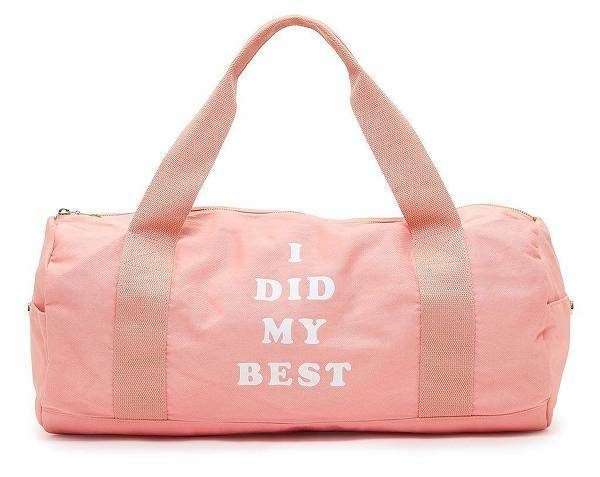 What else can you expect from a gym bag? Right, it is spacious and durable, too. Sense of smell is often underrated and overlooked – too bad, because right aromas can make your life so much brighter. 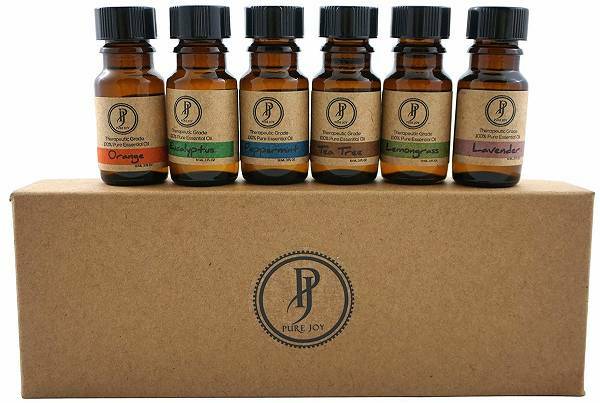 This essential oils set contains 10ml each of the following: Lavender, Tea Tree, Eucalyptus, Peppermint, Lemongrass, Sweet Orange. 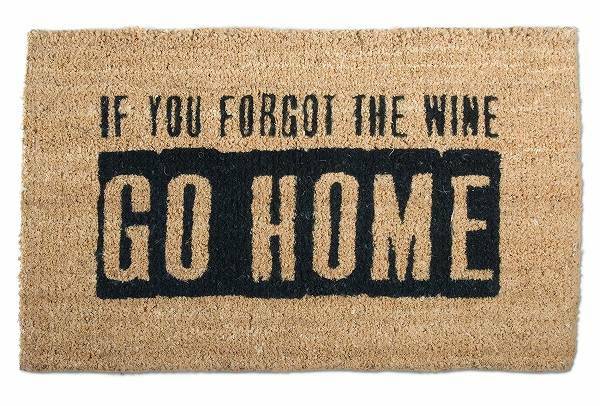 You can give the special woman in your life this mat, but don’t come with empty hands next time! 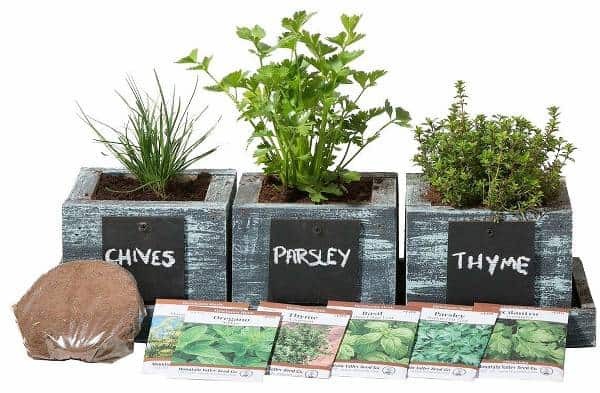 This is a perfect gift for anyone who loves to cook and have the freshest herbs at their finger tips without the expense of buying store bought herbs. 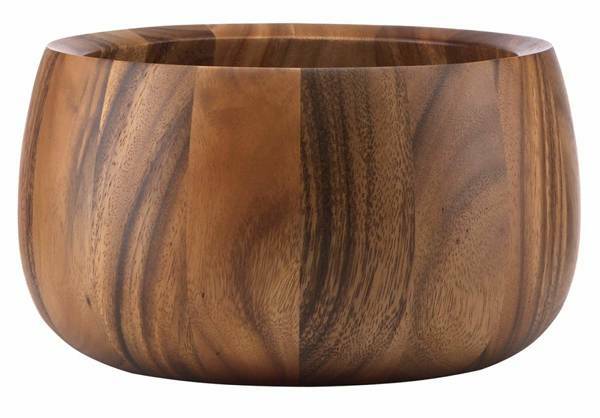 Good salads deserve good salad bowls, because food just tastes better when it comes in a beautiful dish. 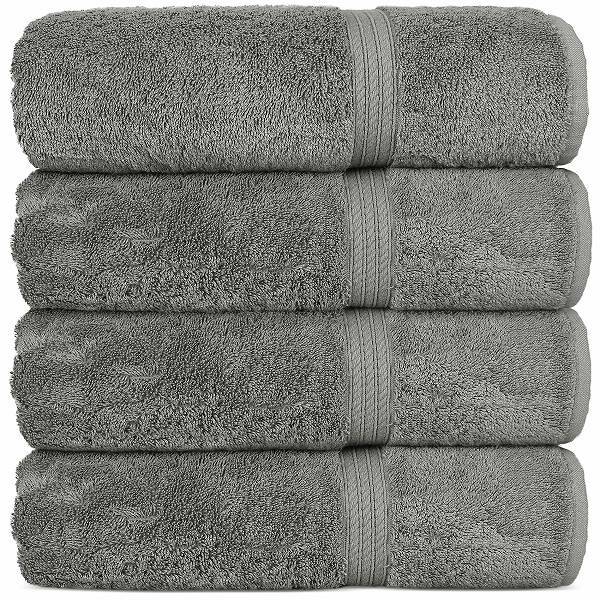 These Turkey made extra soft bath towels will show that you value her comfort above all! A cup of tea can calm a person. A beautiful cup will do it even quicker. 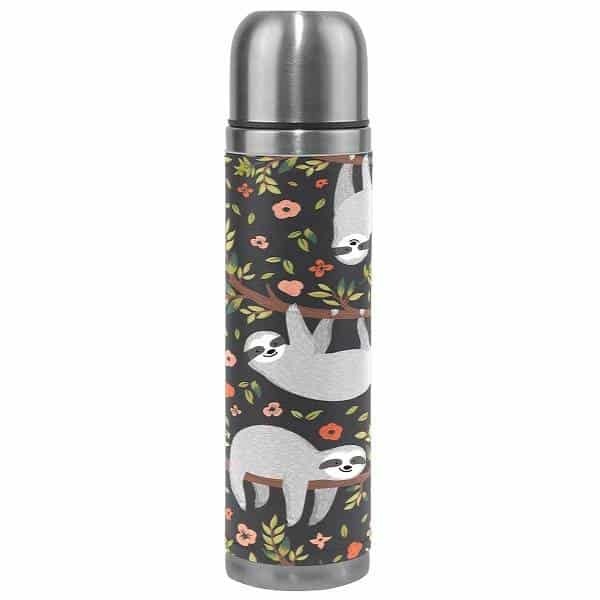 Super convenient infuser and a solid ceramic cup make a perfect match, ready to be wrapped and presented to the special lady in your life. This bag looks and feels amazing both on the inside and the outside. Bold design and top notch materials make a perfect CK bag! 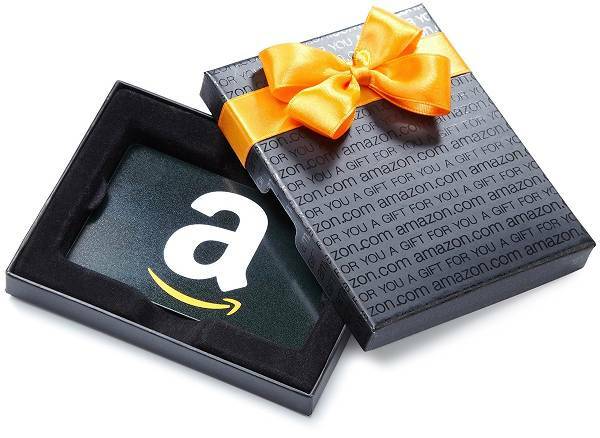 With this Amazon gift card, you will surprise the woman you care about twice – first time when she gets this beautiful black box, and for the second time – when she actually buys something she actually wants. 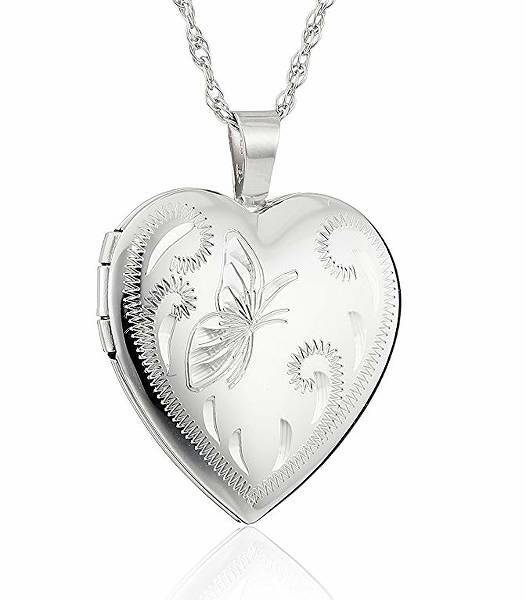 This silver heart necklace holds two photos – a sweet memory she’ll always have within hand’s reach. 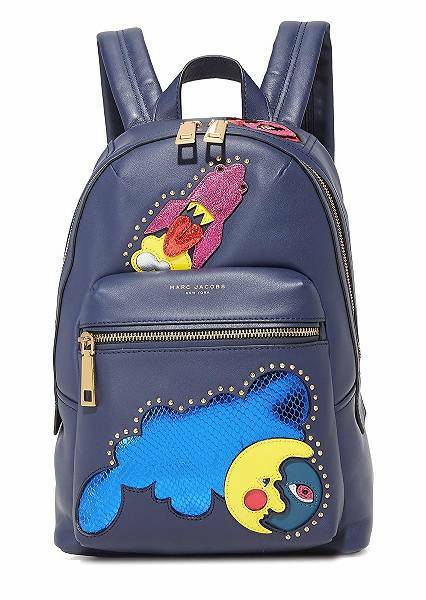 This bold and beautiful cowhide Marc Jacobs backpack literally yells “Get me now!” at you. The design speaks for itself, the zippers and stitches are flawless, the interior is practical and thought through. I truly believe that a smoothie is a perfect drink. You take all the best nature has given us and mix it into a freshening and nourishing glass of delight. Of course you need a good blender for that. 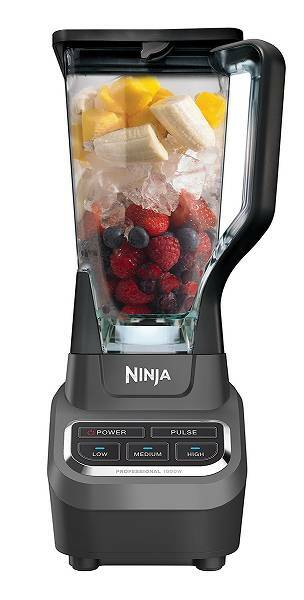 That’s where Ninja Pro Blender comes in hand. With the blender above, she’ll need some inspiration. 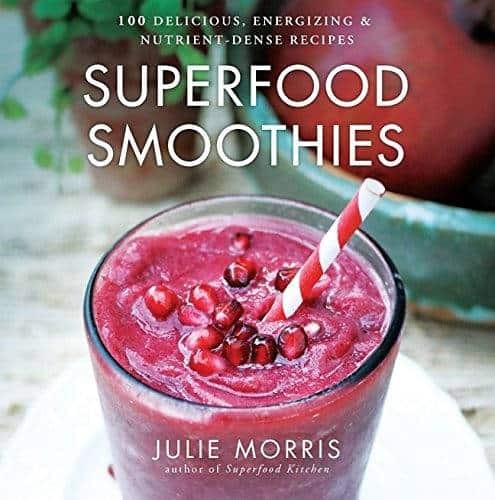 We’ve got it covered, right here in this Superfood smoothies recipe book. 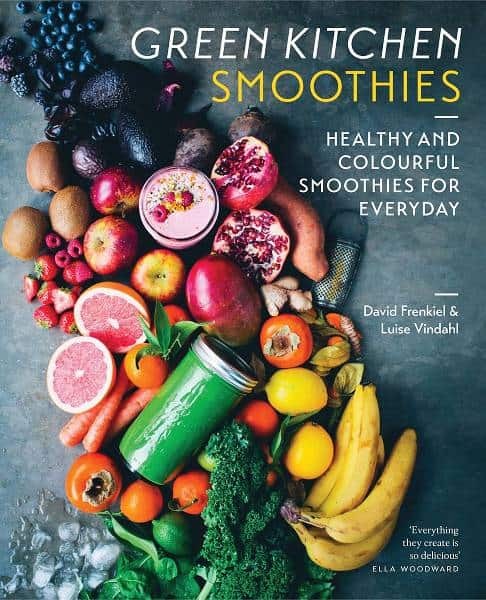 Two books are better than one, so here is our second choice – definitely one of the best smoothie recipe books on the market. 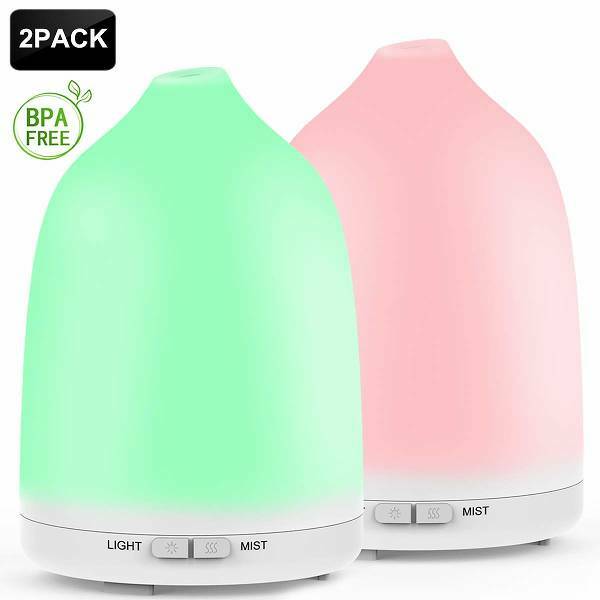 Essential oil diffuser that glows in the dark – to make her nights filled with magic of light and scent. 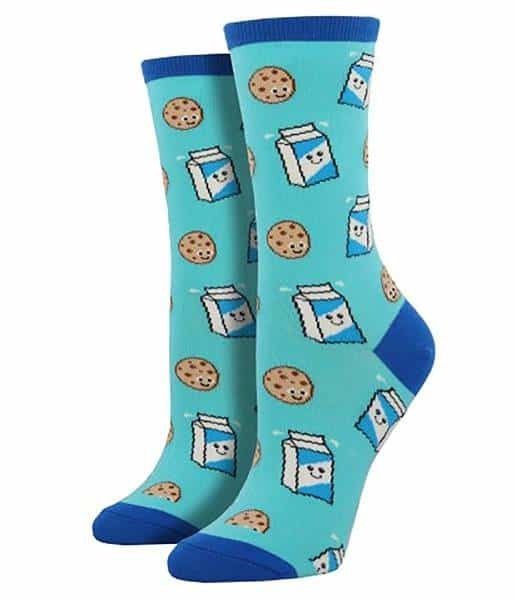 Wow these socks are so cute one might want to eat them. 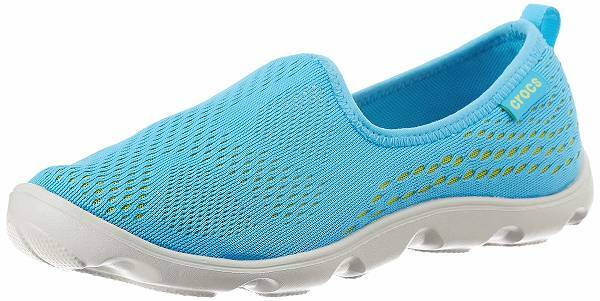 Soft and lightweight, Crocs are perfect for those who spend a lot of time on their feet. 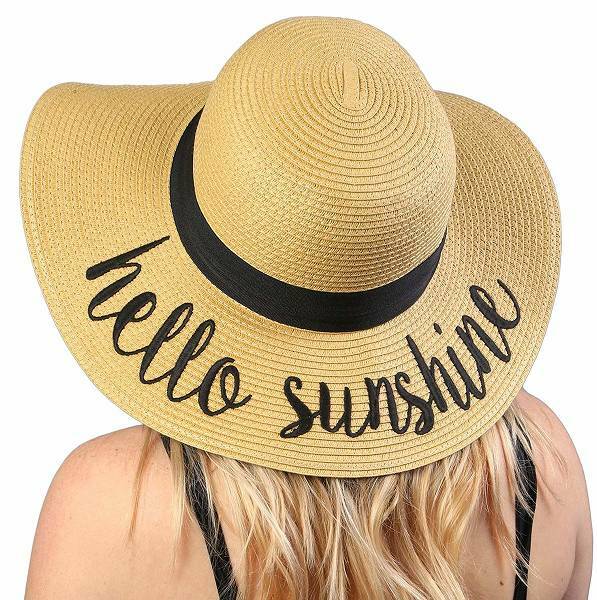 It’s vacation time – let her welcome summer with this glamorous hat! 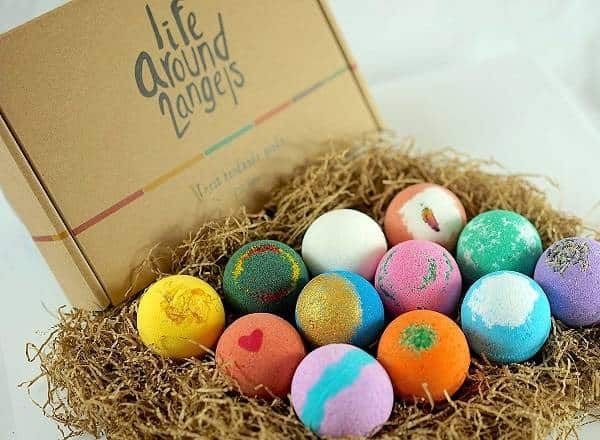 These USA made 12 handcrafted bath bombs are functional and relaxing. Both the bombs and the box are just strikingly beautiful – a perfect birthday gift. Indulge her senses with a luxurious at-home spa treatment! Beautifully packaged in an elegant basket, this bath gift set makes for an extraordinary gift, and adds a lovely touch to the bathroom. She’ll appreciate this travel hair dryer in long journeys, when every ounce of luggage counts. Help her forget about shoulder tensions with this universal massager. 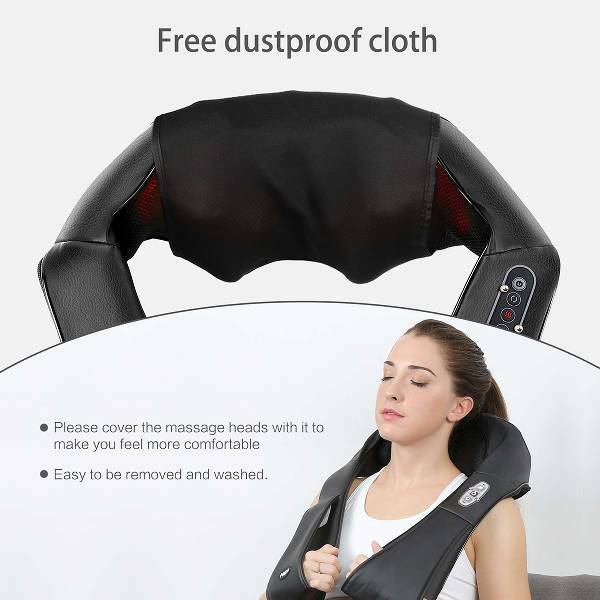 People love it for hard and deep massages, it’s also one-button simple to use. Long journeys is where you need coffee the most. Give her the luxury of true aromatic espresso whenever and wherever she wants. No more instant coffees in plastic cups! People pay too little attention to some things they use every day. 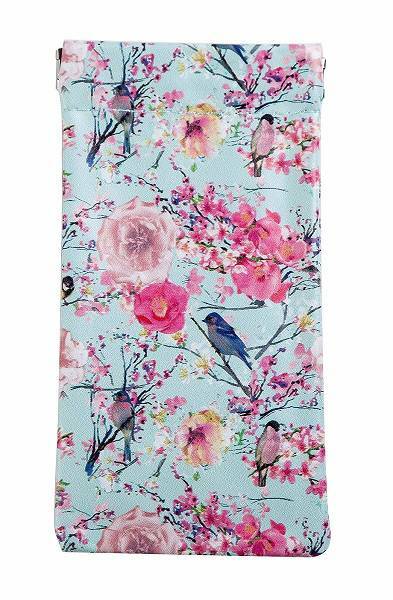 Look, an eyeglasses pouch can be beautiful, too. Go green (or a bit yellow?) 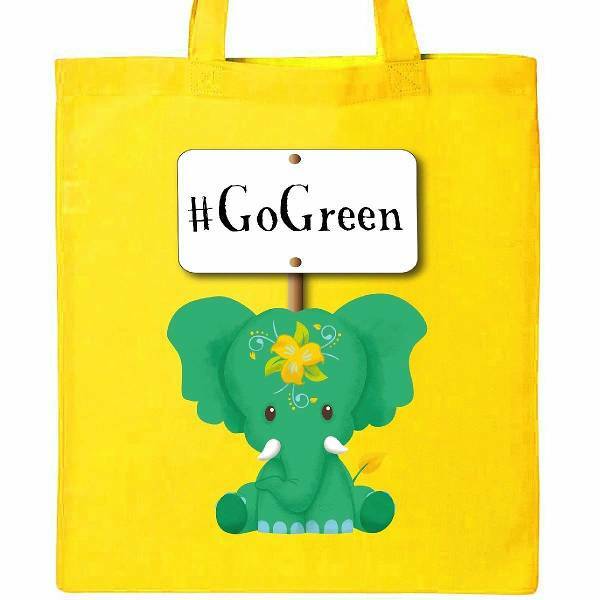 with this 100% cotton Eco bag! What’s better than oven mitts? Dogs. What’s better then dogs? Oven mitts with dogs on them. You can buy that in a store – says who? 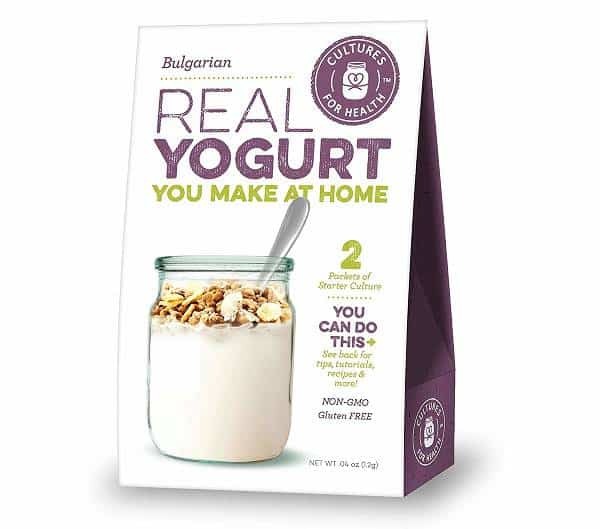 The one who never tasted a homemade yogurt. 6oz Glass containers allows for making up to seven different types of Flavors. 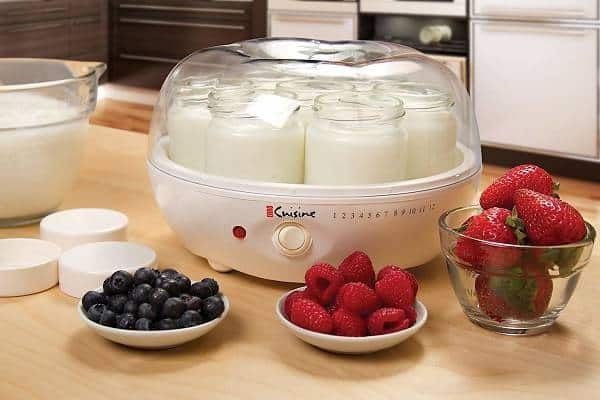 You’ll need these for a yogurt maker. I have my spice in paper bags scattered all over the kitchen, and I hate that. Don’t let your special woman be like me. Wine tasting is great, but what do you do with so much wine? 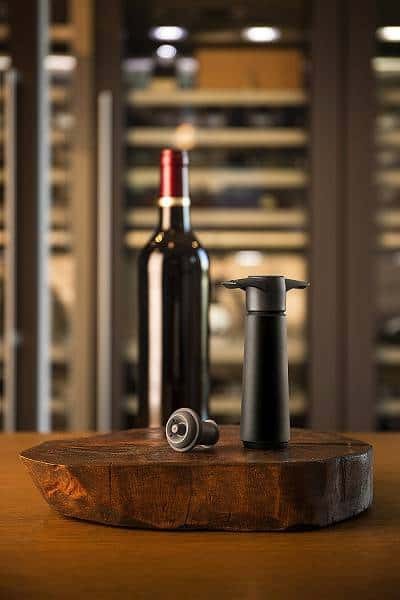 Remove air from the wine bottle to keep wine tasting new for up to a week! 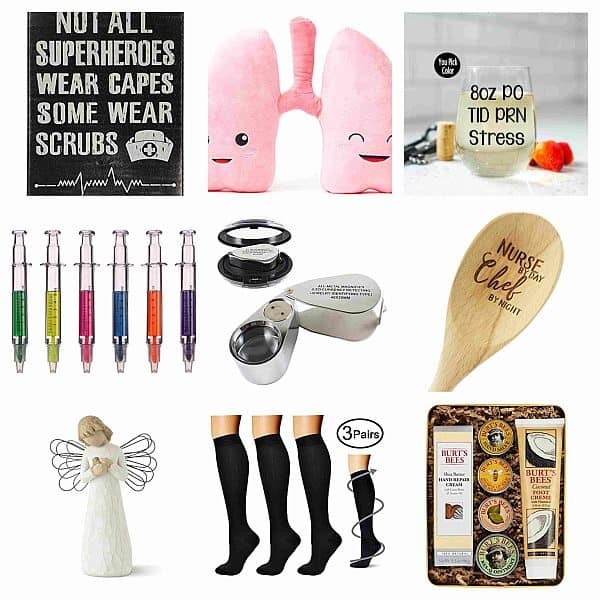 These were our top picks of birthday gifts for her. Of course we did, there are billions of great products you can buy, but this list was made with heart and soul. I suppose an oil change coupon can be a good birthday gift, too. But we went for beautiful things which are pleasant to touch, smell and maybe eat. Because that’s what makes a good life, isn’t it?